Hey BFG – looks like your link is to your KTPA gateway, not KSPG. Indeed it was! Fixed, and thank you. Hmm , that’s weird. I’m missing a bunch of objects (according to x-organizer). Wondering if that’s because they’re in the 11.3 beta. I haven’t installed it yet. Yes, that too. I completely forgot these were the 11.3 beta libraries. This is a heck of an improvement over the empty stock airport! I have a basement sim like yours, which I am hesitant to put a beta on, but I have another machine where I always get the latest beta, so I am running 11.30b6 on that one. No problems loading, and no fps issues. The only things I saw were several trees in the middle of the road by the buildings near the end of runway 36, as well as a building on top of the road near there. More trees in the road at the end of the long building on the left side of rw 7. 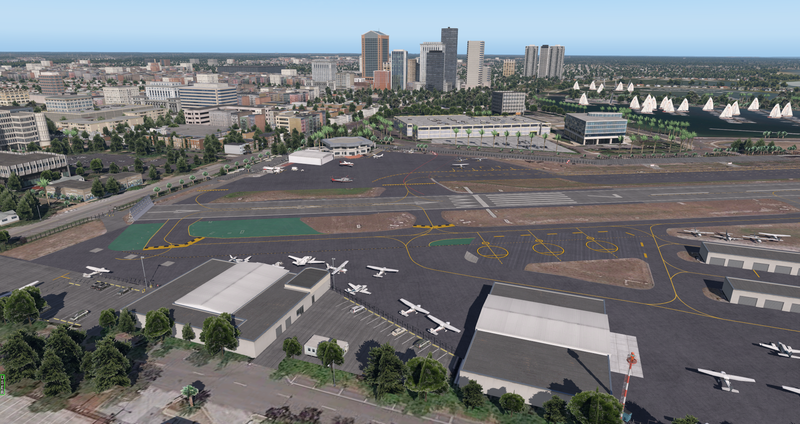 I have several AI aircraft (no WT3), and I was taxiing around by the covered parking by a long hanger, and a helicopter was parked there. As I watched, it started up and took off right through the covered parking. Maybe more of a 11.3 AI issue, but I don’t know. One other thing might be that there seems to be a road that has overlaid the taxiway right near the ATC tower. At any rate, it looks pretty good, and it’s a keeper for me. Thanks. Very helpful. Those are exclusion zone issues and I’ll get them fixed. The heli AI is likely an AI issue. Well described by Alan, looks great. 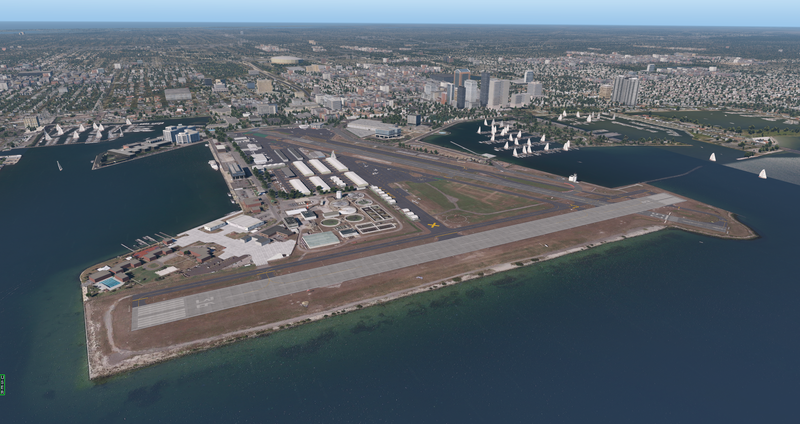 Only issue I had was that I need restart my computer to load the scenery, first time was a mix of yours and xplane 11 default. After had the correct airport loaded, I had change a setting and the scenery reloaded with the default. Only way to get yours was to reset the PC, don’t know what is happening with my setup, first time happened to me. Thank for sharing your good work and for your great videos, you save lot of time to not having to reinvent the wheel. About night lightning, are you using Xplane default? Note: you cannot upload scenery created in beta’s to the scenery gateway. Either wait until 11.3 is released or “back down” to 11.2 if want to submit right away. Hi, looks grate! I’m missing all the white markings of runway 25/07 including the numbers. Also, it seems that there’s an incursion with roads on the north-west corner. Thanks. Those textures on 25/07 don’t always load and I’m not sure why. I need to track that down. And I’ll look at the road. Thanks. Great Scenery. Thanks for sharing KSPG. On initial thing I saw was the docks were floating off the end of the south runway. Also some of the AI forums traffic runs through each other. Could have been an odd occurrence/ timing. I’ll let you know if I find anything else. Thanks as always you inspired me to build my pit, and get an Oculus Rift. Addicted to VR now.